Mr Nthatheni Elvis Mudau, known among music fans as Elvis Mandiza, was born in 1952 at Ngwenani ya Mapholi village, Thohoyandou. He is the first born child of Mr Makwarela William Mudau and Mrs Tshinakaho Mudau. Elvis herded cattle and goats when growing up at Ngwenani. He attended Tshidzini and Ngudza primary schools, but did not pursue his secondary education after graduating from primary school. Elvis is a self-taught multi-instrumentalist. He ventured into music, in 1961, by learning to play mbila (mbira). In 1964, he learnt to play guitar using a home-made guitar made of an oil container, plank, nails and telephone strings. In 1970, Elvis went to work in the mines in Rustenburg. This is where he met and befriended a talented guitarist from Mozambique who was known as Banda 6. Elvis learnt a lot from this guitarist. Elvis moved to Johannesburg in 1976 and bought himself an electric guitar. He recorded a few solo tracks under the name Elvis Mandiza. Mandiza was his grandfather’s nickname, and he liked it and used it as his stage name. Elvis later met the late Bidela Singo who was from Mukula, also in Thohoyandou. They formed a band called Malende Boys (well-known as Bidela Singo & Malende Boys). The band recorded a number of tracks with Gallo Records, Trutone, Mavuthela, Gramaphone Records, Sylvia Records. Some of their tracks were recorded at the then Radio Venda’s studios in Makhado. VV Botsotso sold more than 17 000 copies, and the song ‘Ni Ambara Sutu’ won The Radio Venda Nambi Ya Dzinambi Award (Best Vocal Group) in 1981. One of the band members of Sibasa Pirates was Ndivhiseni Dan Tshanda of Splash, Dalom Kids and Matshikos fame. 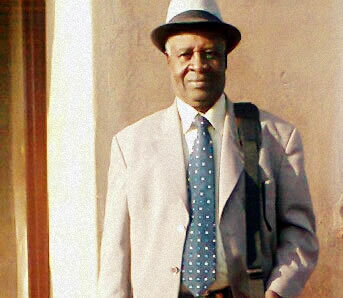 He was Sibasa Pirates’ bass guitarist, and is one of the many famous musicians who learnt the art of music from Elvis. Today Elvis stays at Tshikambe village with his three wives: Esther, Mavis and Eunice. He is a successful vegetable farmer. He also owns a timber plantation. Ndi Mudau wa Ratshikombo tsho sala ndimoni. Tsho salela u vhona vhuvhi Nzhelele. Ndi nne wa Ha-Tshivhula tsha Ha-Matshokotike tsha gumbe le la fhelela nga mipfa. Nzhelele mitangaumani ha khuhu dzi no hanwa mafhi. Muduhulu wa Mpondokosho a nou ponda a sia marambo fhedzi. Mutshanzhali wa Nyangomana une we u dzhena fhasi shango la dzinginyea. Dzulani zwanu Mudau.